Warm weather is here! The warmer temperatures and beautiful sunshine also bring the unfortunate risk of storms. And with that comes the increasing risk of storm chasers. We’re already experience record-setting storms here in Southeast Michigan. The damage caused by winds impacted residents for days – and even weeks – after the weather passed. As if the storms weren’t bad enough, home owners were also faced with the danger of insurance “storm chasers” – scam artists who take advantage of bad weather that has impacted area homes. As a homeowner, it’s important to be aware of this risk and understand how to avoid scam artists who may take advantage of you. What is an Insurance Storm Chaser? Storm chasers exploit homeowners who have experienced home storm damage. Home damage from fallen trees, heavy rains, high winds, tornados, hail, and beyond — there are an array of home problems that attract insurance storm chasers. Storm chasers travel town to town, knocking door to door — promising to delivery speedy home repairs for a premium cost. They fail to provide effective home repairs — if they do anything at all. These criminals watch the weather, then travel to damaged zones to collect money from unsuspecting homeowners. Then they quickly vanish from town, money in hand, leaving homeowners to figure out how to ­­fix –– and pay for –– repairs they thought were being resolved. Storm damage can have a lasting impact on your home if not treated properly. Storm-related damage can include an array of problems including missing shingles, dented siding, flooding damage and more. 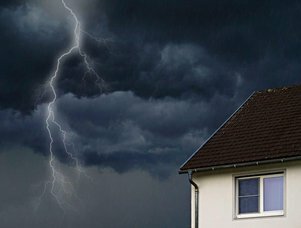 It’s important to act quickly if a storm damages your home to prevent future problems. However, make an informed decision when hiring a contractor to make your home’s repairs. A lot of storm damage can be covered by your homeowners insurance, making it even more important to hire the right contractor to handle the process properly. 1. Be cautious if a home contractor contacts you. Storm chasers are known to seek out damaged home. They reach out to homeowners and offer quick assistance. It should be you contacting the home contractor, and is rarely the other way around. If someone knocks on your door, promising quick help – be cautious and ask for credentials. Every home contractor is different. Home repairs are worth the investment if you’re hiring an experienced professional that will protect your home from future problems. Feel comfortable asking as many questions as you have. Evaluate the company’s technologies. Discuss the specifics of your project. And get information and a written quote from multiple contractors. 3. Contact your insurance agent. It’s fine to call a home contractor before calling your insurance agent. In fact, if there’s flooding damage – it’s highly encouraged to get it checked out fast. Check with your insurance agent before signing on the dotted line, though. Your home insurance agent can verify the trustworthiness of a home repairs contractor. Insurance storm chasers lack a strong work history, and will likely fail a background check by your insurance agent. Trusted home repair companies have positive track records, an A+ Better Business Bureau rating, proper licensing and an understanding of the necessary permits. Never hire anyone until they provide adequate proof that they have an established local work history. Two of the most popular ways to verify a contractor’s qualifications are to do a quick Google search and check with social media. Ask your friends who they hired for their repairs, and ask for references when you meet with a new home repairs company. As you’re hiring a new company, we understand that you may have questions. Our team has unfortunately worked with home owners that were victim to an insurance storm chaser scam. Protect yourself from this increasingly popular scam. Do home contractors offer warranties or guarantees of storm damage repairs? Warranties and guarantees vary by service and materials. Talk to your contractor about the specific materials they are using, what promises they can provide with the services they’re offering and how their work will protect your home from long-term risks. Most likely! Calling a trusted repair company is vital. Evaluating the damage and quickly repairing it can increase your chance of getting it covered. 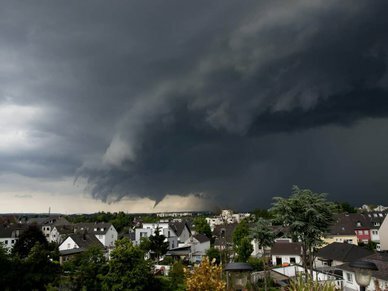 Insurance agents need to be able to link the home damage to a recent storm. Roof repairs, siding damage, fallen tree and more are covered under most homeowners insurance policies. Does your home need storm damage repairs? Hire a home contractor that you can trust. Bloomfield Construction can help! We have more than 25 years of experience. Our team has worked with thousands of homeowners in need of repairs and restorations. What Does Storm Insurance Cover?